General Description: Hobo Hot Springs​ also known as Saratoga Hobo Hot Springs is a locals favorite. Hobo is open 24 hours a day all year, seven days a week. This hot springs is free to the public. Hobo Hot Springs is located between the Snowy Range and the Sierra Madre Mountain Range and on the Upper North Platte River. The public hot springs pool is owned and maintained by the Town of Saratoga. The bath house offers showers and restroom facilities. Accessibility: Hobo Hot Springs​ is very accessible. You can drive up to Saratoga. It is an easy walk around the park. 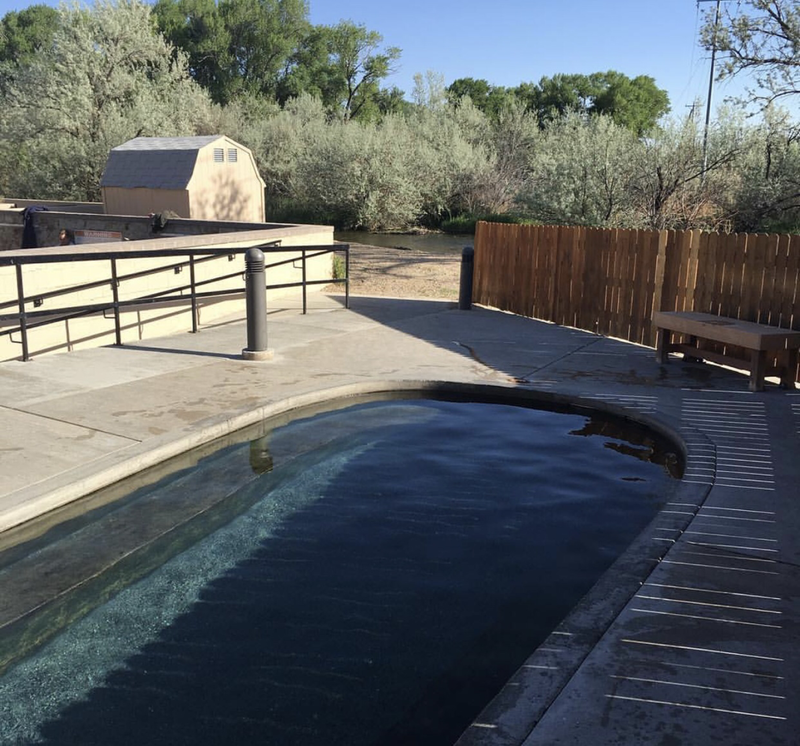 Hot Springs: ​Hobo Hot Springs ​boasts 2 outdoor all natural hot spring pools. The hot pool averages around 106° F from its coolest part to 119° F to its warmest part of the pool. The warm out door hot springs pool averages 100 degrees. No chemicals are used. The pools are all natural. The hot pool is run by donations and all are greatly appreciated. ​There is a donation box on the side of the dressing room building for your convenience. Keep it free! Hot Spring Tips: ​Hobo Hot Springs is free to the public. Hobo is open 24 hours a day all year, seven days a week. Hobo is not clothing optional. Bathing suits must be worn. This hot springs is pet friendly. No dog in the pools. All dogs must be leashed. No glass containers. No alcohol on the premises. 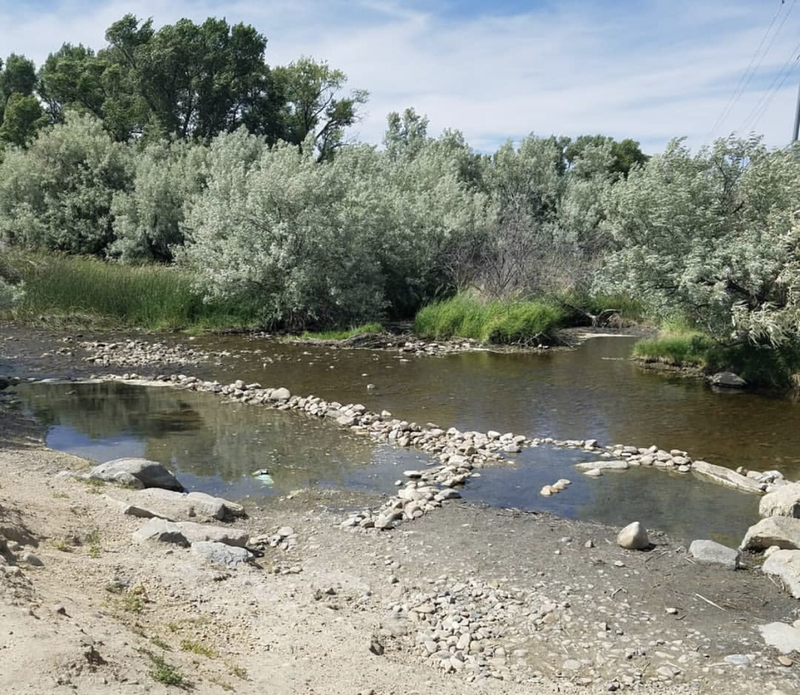 Check put the hot springs along the ​Upper North Platte River. Youtube Video on Hobo Hot Springs is below.